My daughter’s planner with the First Day of School. I love the hearts and rainbow. Yesterday my daughter started first grade. We are officially homeschooling. Last year for kindergarten we did an online public school and it wasn’t a good fit for us. I called it homeschooling, but really, it was public school at home. We have only schooled for two days and already the change is amazing! Both of us enjoyed our laid back and relaxed learning time. My daughter learned plenty in the past two days and actually enjoyed doing it. The highlight of her first day? Studying the bible! Be still my heart. She also enjoyed our read aloud, which was done on our sofa, complete with soft pillows and a cozy blanket. Last year sucked the joy out of both of us. I never had the energy to write a blog post because I was just plain worn out. We just don’t trust restaurants and I cook every meal my daughter eats. So, between cooking all the time, cleaning, the online school and life in general, I was super frazzled. And my daughter didn’t like learning last year either. This morning, day two of our new journey, my daughter walked into the kitchen and exclaimed, “When are we going to start homeschool?!? !” What a huge change!!! The realization that everything has changed hit me tonight. And the Huzz stared at me. And I cried some more. We chose not to send SG to pre-school for many reasons. I used to be a first grade teacher, so I knew I could equip her for kindergarten. Also, we were not comfortable sending our super contact reactive daughter to preschool. So, I stayed home with her, which was always our plan. For five and a half long and beautiful years, we did whatever we wanted, whenever we wanted. And did I say Shopped… a lot! And we did so much more, together. Yes, we can still do those things. Just not whenever we want. I feel a heaviness that that chapter is behind us. Yes, exciting things are about to happen. I get to watch our child learn and grow. But it still didn’t stop the sadness and the tears from falling. I am NOT the sentimental type so these emotions have taken me by surprise. We will adjust and thrive. SG will bloom and grow. Heavenly Father, please fill me with joy, for Your Mercies are new every morning! Do you homeschool? Do you send your child(ren) to public school or private school? Please share your back to school stories (especially kindergarten stories) with me below. Note: I wrote this last night and am posting this a day late. Today was officially our second day of homeschool and SG tested on a first grade reading level! That was such a great ending to day two. I have to say, I have some hope for the first time in a long time for my daughter’s contact reactions. We moved and have a new allergist who gave us a plan to start to try to reduce and hopefully eliminate her constant contact reactions when we are out in public. I felt so emotional at the chance to finally be free of contact reactions, I almost cried. My hope was stuffed down and crushed, but still, I always pray for a cure. I’ve always said that if her contact reactions would go away, it’d be so much easier to manage. Not easy, but easier. Having a ray of hope is nice. It’s refreshing. It’s a good reminder that my hope is in the Lord and perhaps I need to readjust my heart and remember where my hope comes from. I’m a wife and mother. My precious SG is 4 years old. She is our joy. It took us years of trying before we became pregnant with SG. We tried again for baby number 2 but it hasn’t happened. We have an only child. But for now, it’s part of God’s plan. I have to trust God and know that whatever happens- He’s got this. I’ve found peace with our little family. It’s not what we planned or hoped for. But God’s plan is always better than mine. Always. So, lately, I’ve been thinking about where I fit in this world of fertility and infertility. I AM a mother, so I don’t really fit in the world of hurt that I lived through for so many years- the childless couples. If you’re there now, my heart aches for you. Keep praying and trusting God for His perfect plan for you and your husband. I have not been able to become pregnant again, so I don’t really fit into the “we’re having baby number 2, 3, 4 or 5” group. Neither are we are in the our family is complete and I’m completely content group. If you have one child and long for another, I know you get the left behind statement. If you don’t understand it, then that’s okay, too. I’ve learned with infertility and food allergies, there are depths of pain, worry and stress. I have learned to lay my worries, stress, and pain down at the foot of the cross. There is where I find peace, contentment and bask in the gloriousness of trusting it’s going to be okay even when I feel like it’s not. Ya know? So, where do I belong? I belong in my precious little family of three. I find joy in covering my little 4 year old with kisses and holding her precious little hands. I find joy and lots of giggles in painting her perfect little toenails bright pink. I find love and acceptance in the strong, hardworking arms of my Huzz. I find wisdom and peace in reading the Holy Bible. I find friendships and support through my sweet girlfriends. I find love and acceptance through our supportive church. Isn’t it all too easy to dwell on the ugly and hard stuff of life? I can all too easily fall into that trap. Life with food allergies, after all, well…it’s HARD. I have to choose joy and contentment. I have to choose to thank God for the blessings I have- and I have many. So many. I belong right where I am, nestled under the loving and protective wing of my Almighty God, my precious Savior Jesus, with my Huzz & my SG. That’s where I belong. I talk a lot about food allergies. 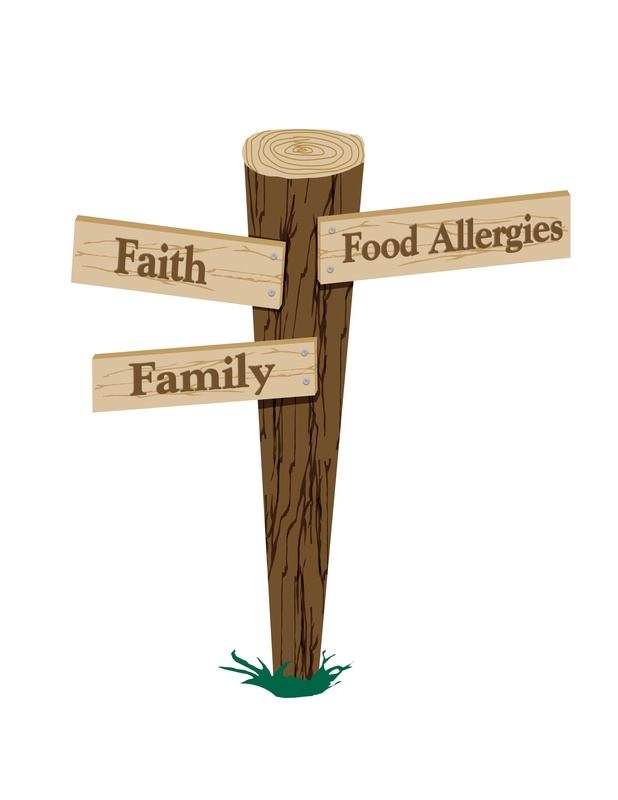 Food allergies have determined certain paths we take. Want to take a bible study class with childcare? Just sign up and show up. There are emails and phone calls involved. There are questions about snacks. There are questions about having other kids hands cleaned in the room. There are quick EpiPen training sessions for her teachers. There are procedures figured out for me to be contacted immediately in case of an allergic reaction. The same thing with any recreational event. SG wants to take a dance class. She is currently crazy for Barbie in the Pink Shoes and wants to learn ballet. Just sign up for dance class and show up, right? I emailed one place where I had previously spoken to the manager. To my face, she was agreeable and accommodating. I emailed her with the specifics needed to keep SG safe (either wipe hands or wash and no food in the room) and CRICKETS. No reply. I crossed that place off of the list. I emailed another place. The owner said she would have her own child wash her hands but it was up to ME to ASK the other parents to wash their kids hands. Ummm…no. What if they say no? I know most wouldn’t, but I have had issues with this in the past. Thankfully I found a dance studio that is willing to wipe all the girls hands before they walk in the studio. (Thanks Jill for the help!) I’m overjoyed and can’t wait for my little ballerina to take real dance classes!!! Let’s move onto grocery shopping. Put your kiddo in the cart (or buggie as we say in the south), fill your cart with any food you want, put your groceries on the belt, pay and go. First, I wipe the entire cart with wipes. Okay, not the wheels. But I SCRUB the part where SG might sit. I’m teaching her to walk beside me, but sometimes I have to put her in the seat part. The part where I’ve watched countless other kids eat the free, deadly dairy and egg filled cookies from the deli. And goldfish. That seat. And then I wipe down the rest of the cart- including the inside of the cart. When my shopping is finally done it’s time to check out and pay. I try to find our favorite cashiers who know us by name. They know to spray and wipe the belt down for us. I have seen spilled milk on the belts. And there is always some random stickiness. Who knows what that is? With a contact dairy allergy and egg allergy, I take no chances. If I can’t find any familiar faces, I go to a new cashier. I explain quietly that we have food allergies and say “Can you please wipe the belt to keep us safe?” Only one time has a cashier refused to do it. And then I lost my cool. And then she wiped the belt. Anyway, all that to get and buy groceries. And I try to ignore the stares I sometimes get as people behind me look at me like I’m a little crazy for not putting my groceries on the dirty belt. Sometimes I feel my cheeks turn red. Sigh. Not that I really care what other people think. Keeping SG safe is my job as her mother. And I take it very seriously. Let’s talk about haircuts. I love Great Clips for SG. Mostly for one reason… there is a giant bowl of Dum Dum suckers for kids to have after their hair cut. Doesn’t that sound like a silly reason to choose a place for a kid’s hair to be cut? When we are there, SG gets to have the same treat any other kid gets. It almost makes me cry. Seriously, that doesn’t happen much. We usually have to say, “No thank you. We have food allergies.” At our Great Clips, the stylists wash their hands before cutting SG’s hair and she gets a sucker afterwards. Thank you, Great Clips. You’re awesome! Let’s talk about eating out. Well, there’s not much to say, really. We only go out to eat on our date nights. This whole post is not supposed to be a bummer. It’s a little glimpse into our complicated little world. Still, I am so very blessed to be SG’s mommy. It’s something I dreamed about, prayed about and cried about for 6 years. I am blessed to have become pregnant after battling infertility for 6 years. I’m blessed to be a mother. I’m blessed to be a stay at home mom. I’m blessed to be a wife. I’m blessed my Huzz provides abundantly for our family. I’m blessed to have regular date nights with the love of my life. I’m blessed that we followed Dave Ramsey’s plan early in our marriage. I’m blessed with friends and family who want to keep SG safe. I’m blessed by a church that goes to great lengths to keep SG safe. I’m blessed with a Savior who loves me and died for my sins. I could go on and on. Sometimes I need to sit down and remind myself of my blessings. Because sometimes, this food allergy life can weigh me down. Today, I choose to lay it all down at Jesus’ feet and know that no matter what, He’s got this. I might have to take extra steps and precautions, but it’s all for a very good reason. There’s nothing I won’t do for my SG. 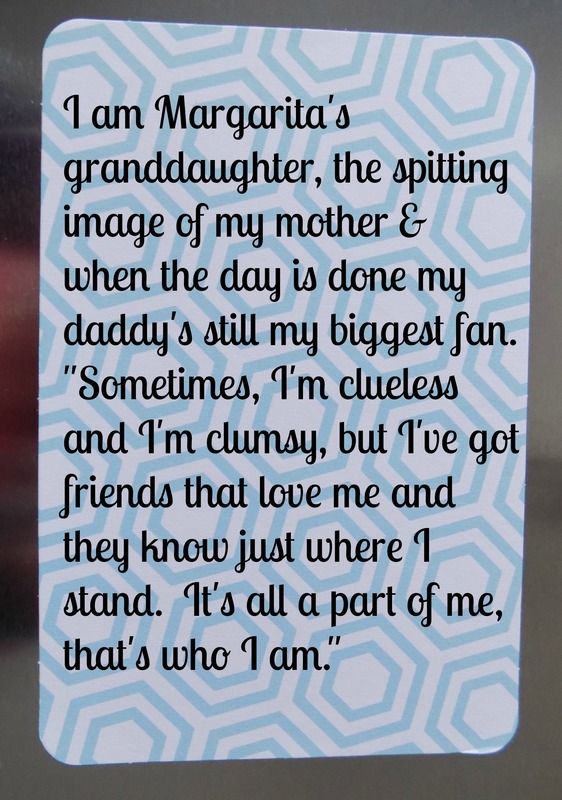 So, now, a few months later, I’m trying to describe me and my little family in a nutshell, so to speak. How to squeeze 12+ years of marriage into a few minutes? How to squeeze our heartbreaking trials and glorious triumphs (all to God’s glory) in a few minutes? Girl sees boy. Boy meets girl. Boy and girl fall in love. Boy and girl become Mr. and Mrs. They move to a new state to start a new life without jobs. Mr. & Mrs. find good jobs and live life as they planned. Mr. and Mrs. are moved around due to Mr.’s job. Two years into “their plan”, Mr. and Mrs. try for a baby. Countless tears followed, invasive fertility tests, dreams slowly started to die and hope was crushed month after month. Time after time. Years of trying to conceive without success brought the Mrs. to her knees many times with many tears. Six years later, on the very last try before pursuing adoption, the Mrs. became PREGNANT. The pregnancy was rocky in the beginning due to a sub chorionic hemorrhage at 11 weeks. The hemorrhage and the belief that they were miscarrying because of cramping and bleeding brought the Mr. and Mrs. again to their knees, with a sound coming from the Mrs. that she had never heard before. The sound of agony and mourning. Yet, God healed the hemorrhage and protected baby. The hemorrhage eventually healed. The Mr. and Mrs. praised God for the healing. God used that time of healing to bring the Mrs. closer to Him through the sweetness of His Psalms. The Mrs. learned a deep trust in God. The Mrs. learned that many were her steps and plans, but that without God it meant nothing. The Mr. and Mrs. learned that their precious miracle baby had life threatening food allergies to cow’s milk (anything dairy) and eggs. The Mrs. sobbed and mourned the life she had planned for baby. The Mrs. learned an entirely new way to cook. The Mr. and Mrs. eliminated baby’s allergens from their house. They learned to accept this diagnosis and learned how to provide a safe and normal childhood for baby. The family of three learned to thrive, leaning on The Lord daily. The Mr. and Mrs. learned that love and care for their daughter’s special needs would come from the body of Christ. The Mr. and Mrs. 12+ years of marriage cannot be fit into just 5 minutes. The Mr. & Mrs. have many stories of God’s provision, protection, His faithfulness, His goodness and His sovereignty in their lives. This is just a fraction of their story. The Mrs. learned that through the many trials she faced, she could either trust God in all of His sovereignty or rail against Him. The Mrs. learned to trust God in all things and so did her Mr. I have to share something. SG has always eaten beef safely. Mostly cooked ground beef in stuff like spaghetti and meatloaf, but also steak. This summer, we let her eat her steak cooked medium, the same way we eat it. Normally, we cooked her steak well done. We prepared and grilled it at home. Several times this summer she had 2-3 hives around her mouth, which quickly went away. After she had steak the last time and broke out in a few hives, the light bulb went off in my head. 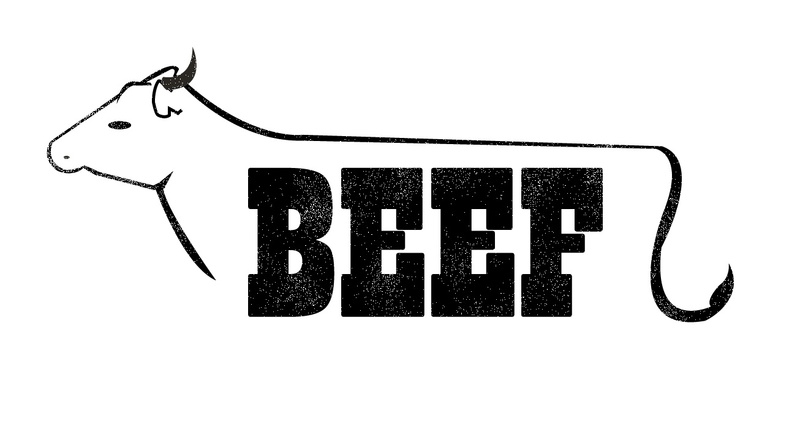 I sat and thought about it and finally pinpointed it to beef- or rather steak. I thought it was because we tried a new brand of steak and maybe there were cross contamination issues. The last night she had steak and we realized it must be the beef, I kept SG up late, letting her watch movies and holding her by my side. I was armed and ready with her EpiPen and Benadryl, which thankfully, she didn’t need. She didn’t have a reaction further than the first 2-3 hives, but as a food allergy mom, I know reactions can be delayed. And can get worse. Knowing that, I slept fitfully. I checked on her several times through the night, listening to her steady breathing. The Huzz held me in his arms and told me it was gonna be alright. “Beef isn’t that good for you, anyway,” he said. But as he held me close, a few tears slipped from my eyes. “Here we go again with food allergies,” I thought. After the Huzz drifted to sleep, I laid in bed, took deep breaths, and prayed. I prayed for answers, for safety for SG, for wisdom in learning to live with yet another food allergy, if that is the diagnosis. And I didn’t know this exact verse, but I knew most of this verse. I prayed this several times. I looked it up the next morning. 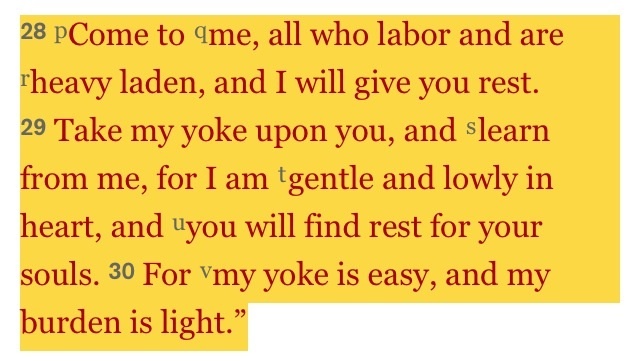 Matthew 11:28. SG tested negative to fish and shellfish in the past but I’ve yet to give her any. When they tested her last week for beef, she was retested for several fish and shellfish. All of the tests were negative. So that’s positive! I will learn to like and cook fish and shellfish. We’ve decided to slowly introduce these foods into SG’s diet. After a week with three different tests, the results are in- kind of. According to the RAST test and the skin test using the beef serum from the allergist, SG is allergic to beef. However, she has been eating well cooked beef since she was small. We skin tested her again with a raw and cooked piece of beef. She had no skin reaction to either! We have two other blood test results that aren’t in yet. One is checking for the tick thing (I’m not getting into that explanation. Just writing this all out is enough for today.) The other test is to see if she is a high histamine releasing person. There are medical names for these but I just can’t remember them. Anyway, the allergist recommended we continue to feed her well cooked ground beef, as she is TOLERATING it. That’s the important word. It’s scary to knowingly feed your child a food you know she is allergic to. But I’ve unknowingly fed it to her for several years. And the downside to complete elimination is she MIGHT possibly lose her tolerance. The Huzz and I had a convo about giving her a small amount of ground beef with hashbrowns on Saturday mornings. That way she has it first thing in the morning and we are both with her all day. When SG had her RAST test for beef, we decided to go ahead and check her milk and egg levels. I prayed her milk level would have gone down, or at least stayed the same. Instead, it rocketed off of the charts. And her egg whites went WAY up. Egg yolk went up, too, but was the least dramatic. The last time I received her RAST numbers, I BURST into tears. I felt as if my world had come crashing down, for the second time. The initial diagnosis was a HARD day. Reading the hard facts about her RAST test a few weeks later devastated me yet again. But not this time. I am disappointed. I would be lying if I said it’s all hunky dory. It’s not. But I serve a God who is bigger than food allergies. A friend reminded me that this is a “momentary affliction” in light of eternity. Those words played in my head driving home from the test. God filled me with His grace and I was able to stand up straight and talk about what needed to be done and get through the appointment without falling apart. And ya know what? As I’m typing this, a little tear is in my eye. I don’t know if it’s because I’m retelling this beef story, if it’s because I’m overwhelmed by God’s grace or both. I’m a little 5’1 ball of emotion today. I know that through it all, God is good. And as much as food allergies STINK and have changed our lives, it’s a part of us. We will continue to be vigilant parents and provide her with a normal childhood. The Lord has gone before us and is the Alpha and Omega and that comforts me greatly. “Do not be anxious about anything, but in everything, by prayer and petition, with thanksgiving, present your requests to God. 1st Week of Homeschool: A+!! !